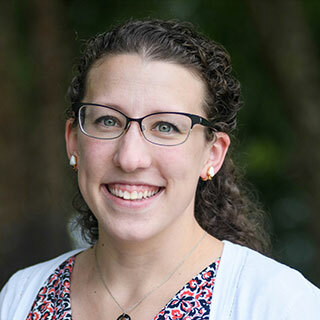 Kate Cassidy started working at Clark in 2016 and currently serves as the Director of Campus Life for Residential Life & Housing. The Director of Campus Life for Residential Life & Housing provides the overall supervision and direction for Residential Life and Housing as well as overseeing the University response to code of conduct violations for graduate and undergraduate students. This position directly supervises the four professional Hall Directors in efforts to direct both strategic long term initiatives and the operational requirements of the residential experience. This position also serves as a vital member of the community in regards to on-call response, retention management, student resource allocation and the overall wellness of students as they matriculate to success. Kate received her B.A. from the College of the Holy Cross, and her M.S. from The University of Rhode Island. In her spare time, Kate enjoys climbing rocks both indoors and outdoors, hiking, reading, trying new recipes in the kitchen, and crafting. Please email ResLife@ClarkU.edu for inquiries. Joe Barbagallo joined the Clark University team in August 2017 as a Hall Director & Housing Operations Coordinator. Hall Director, Joe supervises a staff of Resident Advisors and he is responsible for managing the day-to-day operations and development of 400 first-year and upper-class students. Joe supports his residents and advises them concerning personal and academic issues, and also advises the hall councils in his area. In his role as Housing Operations Coordinator, Joe assists with various housing operations such as hall openings, hall closings, key management, room assignments, and the management of online housing portals. Joe grew up and Maynard, MA and graduate from Rhode Island College with his Bachelor of Arts in psychology and a minor in coaching. Joe’s interests include ultimate frisbee, golf, video games, Batman and Star Wars. 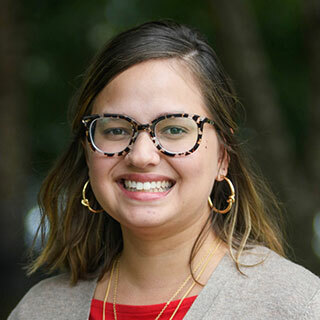 Carian Diaz joined the RLH team in August of 2017 as the Hall Director for the Johnson Sanford Center and Dodd Hall. Carian grew up in Orlando FL and received both a bachelors and masters from the University of Massachusetts Boston. She loves to color and start DIY projects! A fun fact about Carian is that she loves coffee and making all sorts of fun flavors of coffee from home. 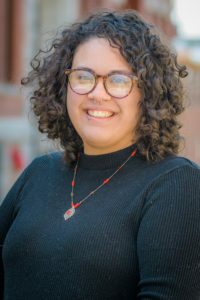 Drew Melendez joined the Clark University team in February of 2019 as a Hall Director & Student Activities Coordinator. As a Hall Director, Drew is responsible for overseeing and managing the day-to-day operations and development of Blackstone Hall, Maywood Street Hall, and the Maywood Houses. 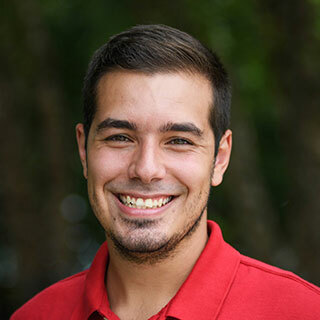 As the Student Activities Coordinator, Drew works closely with the Student Leadership and Programming Staff to help student groups establish university recognition and plan events on campus. Drew grew up in northern New Jersey and received a Bachelor of Arts in Psychology and a Bachelor of Arts in Communication from William Paterson University of New Jersey. She’s currently working on an M.S. in Counseling and College Student Personnel. She loves coffee, cats, cooking, and alliteration. Please email or call our main office for inquiries. 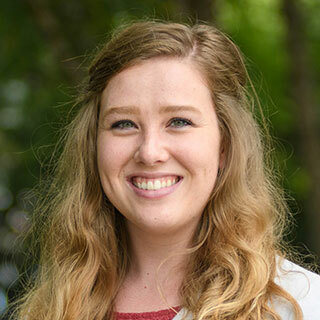 Taylor Anderson started working at Clark in July 2017 and serves as the Coordinator for Campus Life Operations. In her role, Taylor is responsible for the day-to-day operations of the Campus Life office and supervision of student office assistants. She also assists students with any housing questions and provides resources to the students and families of Clark. Before coming to Clark, Taylor was a Resident Director at McKendree University in Illinois. Taylor grew up in Minnesota and received her B.S. from Winona State University. She enjoys baking, yoga, and exploring new places.